At the end of the week, we resume everything that the crypto community talked about over the past seven days. 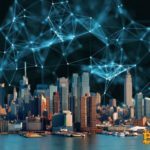 This week it became known that the social network VKontakte was studying the possibility of creating its own cryptocurrency, Bitmain cancelled an IPO on the Hong Kong Stock Exchange, and the popular website CoinMarketCap has promised to change the rules for ranking the exchanges after a recent study provided evidence fake trading volumes. According to the CEO of Galaxy Digital, Mike Novogratz, the market cap of the main cryptocurrency can grow to $ 8 trillion easily. Novograc said that Bitcoin has a great chance to bypass the gold capitalization over the next 20 years. During this time, the value of all BTC will exceed $ 8 trillion. Well-known investor Tim Draper said that the largest cryptocurrency could rise in price to $ 4 million. A venture investor in Silicon Valley believes that in about five years everyone will laugh at those who pay in a cafe or shop with fiat money. Creator of the Ethereum Vitalik Buterin believes that the cryptocurrency community should leave the individualism of the early crypto banks behind and use the technology to create new systems that have a positive effect on society. Litecoin creator Charlie Lee believes that poor knowledge of digital currencies and high volatility are the main factors that inhibit the development of the crypto sphere. The famous Bitcoin evangelist Andreas Antonopoulos criticized the functionality of JPM Coin. Antonopoulos said that JPM Coin does not even smell of the actual functionality of the blockchain, despite the fact that it claims to be so. In addition, Antonopoulos said that the stablebcoins are a waste of time and should not be treated as competitors of cryptocurrencies, as well as PayPal and Venmo. Jihan Wu, co-founder of the Chinese mining company Bitmain, doubted the prospects of updating ProgPow Ethereum, which aims to reduce the impact of ASIC miners on the network in favor of the GPU. According to the Director General of the Bank for International Settlements (BIS) Agustin Carstens, central banks should not be engaged in issuing cryptocurrency. Chicago Commodity Exchange CEO Terry Duffy in one of his interviews stressed that the price of Bitcoin will rise only when people can use it more effectively than just trading on the exchange. Duffy explained that the crypto-community, which claims to be “involved” in the blockchain technology, is concerned only with bitcoin prices. In an interview with Washington Square News, the Commissioner of the Securities and Exchange Commission of the United States (SEC), Ester Pearce, once again criticized the policy of the American regulator in relation to cryptocurrency. Recall that Esther Pierce is often called “cryptomema” for her positive attitude to digital currencies. She said that the current policy of the regulator hinders the development of the cryptocurrency industry. 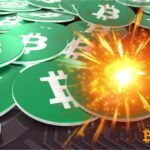 According to a supporter of Bitcoin Cash cryptocurrency Rick Falkvinge, the Lightning Network solution will not receive massive use in the cryptosphere. 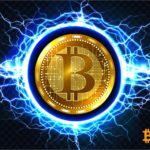 He said that the Lightning Network is a dead end in the development of the cryptosphere, which will not solve any problems associated with improving the performance of the Bitcoin network. The latest study by Coinfirm says that currently only 14% of the 216 global cryptocurrency exchanges are licensed by regulators. According to the research company Messari, more than $ 7 million are spent per day to ensure the operability of the main cryptocurrency network. This amount includes transaction fees, mining of coins, expansion of the blockchain capacity and much more. Another Messari study shows that Stellar, the ninth cryptocurrency by market capitalization, in April 2017 faced a serious bug in the protocol, which allowed for the creation of 2.25 billion XLM tokens. This additional inflation in April 2017 was almost 25% XLM in circulation, but the public disclosure of information about the Stellar Development Foundation event went unnoticed. Specialists of the rating agency Weiss Crypto Ratings have published a new report on the prospects for the cryptocurrency market, in which they noted the growing importance of Bitcoin and the token XRP. Almost a half of Russians approve of the idea of ​​e-voting, along with the traditional one, and is ready to vote in elections on the Internet, if given the opportunity. This is evidenced by the results of a survey of the All-Russian Public Opinion Research Center, published on March 25 on the organization's website. The developers of the Bitcoin wallet Samourai presented their latest update, which includes built-in Tor integration. Tor can now be turned on before creating a new wallet or turning it on / off at any time inside the wallet. The manufacturer of hardware wallets Ledger and the Hong Kong-based Legacy Trust, which deals with custodial storage of assets, have entered into a partnership agreement to secure the storage of cryptocurrencies "at the institutional level." Legacy Trust, using the Ledger Vault product for managing multi-signature cryptocurrency wallets, stated that it can now “reliably and efficiently” store customers' digital assets, such as Bitcoin, and, most interestingly, also begin to offer storage of ERC-20 tokens on the Ethereum blockchain . Binance Exchange reported on its blog that it has made important changes to the Binance Launchpad platform for the sale of tokens. Now Binance Launchpad intends to use the new "lottery" format to launch future projects. Previously, IEO on Binance Launchpad worked on the “queuing” principle, and this led to the fact that most users remained without tokens. The company says that the number of tickets for which the user is able to claim will mainly depend on the number of Binance Coin (BNB) coins stored in its account. OKEx cryptocurrency exchange may become the second trading platform after Binance, which has its own blockchain network. Currently, exchange specialists are working to create the OKChain network, which will be released in the test version in June 2019. Cryptocurrency exchange KuCoin has announced that it will now accept payments for cryptocurrencies from MasterCard or Visa credit cards. American cryptocurrency exchange Coinbase offers more than $ 100 million in Stellar Lumens (XLM) for those users who would like to participate in the study of the Stellar protocol. DragonEx Exchange, which has positioned itself as a “secure and stable platform for Bitcoin and Ethereum transactions,” became the focus of attention after it had announced burglary with theft through its official channel Telegram. The announcement says that DragonEx has lost control over the cryptocurrency assets of its users, but has not yet specified the exact amount of losses. Cryptocurrency Exchange CoinBene unexpectedly announced technical work, but users began to suspect a possible hack of the exchange. 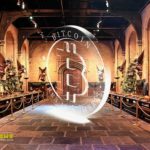 Rumors of a burglary drew the attention of analysts from the company Elementus, providing their analysis of transactions CoinBene. Rakuten, the leading Japanese e-commerce company, plans to open its cryptocurrency exchange already next month called Rakuten Wallet, which is a subsidiary of Rakuten, and will replace Everybody's Bitcoin, which Rakuten acquired for $ 2.4 million last August. Also in May, will launch a new Japanese cryptocurrency exchange called Taotao. The exchange will have an influential sponsor YJFX - a subsidiary of Yahoo! Japan. The blockchain development roadmap will be developed by June 2019 in Russia. This was told to the media by the director in the area “Formation of research competencies and scientific and technological reserves” of the ANO “Digital Economy” Sergey Nakvasin. Earlier, Nakvasin said that the Russian authorities plan to invest in new blockchain projects of 10-15 million rubles each as financial support. The Chairman of the National Bank of Belarus, Pavel Kallaur, stated that he has a negative attitude towards cryptocurrencies. Moreover, he noted that there is no greater enemy of bitcoin and altcoins than he is in the republic. The Finnish Parliament voted for the new law “On Providers of Virtual Currency Services” and adopted the corresponding amendments to the Law “On the Prevention of Money Laundering and Financing of Terrorism”. The new law, which will enter into force in early November 2019, provides for financial supervision in relation to cryptocurrency services in Finland. One of these services has become a popular cryptocurrency platform LocalBitcoins. On March 18, the account registration process was updated on the website - now users verify the basic information at the very beginning. Vietnam is ready to launch on its territory the first regulated cryptocurrency exchange in close cooperation with a well-known Swiss company. The Vietnamese company Linh Thanh Group and the Swiss blockchain-company Kronn Ventures AG signed a memorandum of understanding to develop a cryptocurrency exchange and obtain the appropriate license for it. Employees of the Forex Dealers Association have identified in the Moscow International Financial Center "Moscow-City" several illegal companies that attract Russians to trade in the forex market and cryptocurrency markets. In Tashtagol, police are looking for an attacker who kidnapped about 790,000 rubles from a local resident. She lost money, wanting to make money on a cryptocurrency exchange. Ukrainian cyber police detained a 32-year-old native of Bukovina who was engaged in cryptodikeking at the expense of 1.5 million Ukrainians. The suspect faces up to six years in prison. At the same time, a court in Japan acquitted a man who was accused of cryptojacking on his own website. The court ruled that this activity does not constitute a criminal offense. © 2018 bit.news | queries 220, for 0.500 sec.